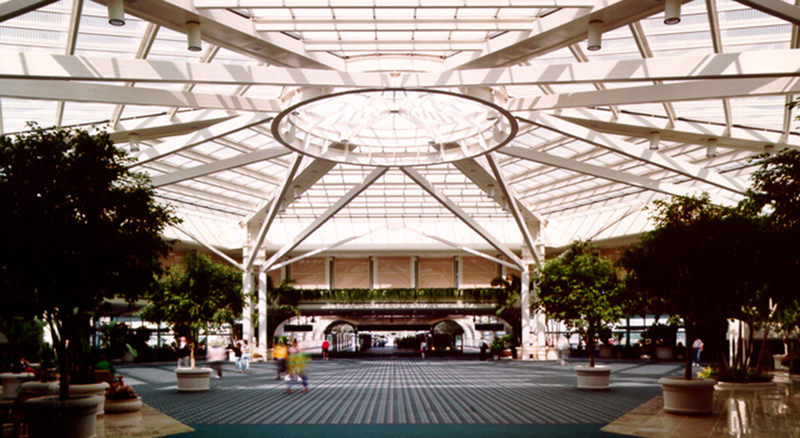 KBJ Architects’ responsibilities include: 1) Landside Terminal expansion, which more than doubled the area of the existing three-level terminal; 2) parking garage for 2,500 cars above a portion of the Landside expansion; 3) airport hotel of 450 rooms above a portion of the Landside; 4) additions and renovations to the existing Landside; 5) Airside terminal of 24 gates plus 16 commuter airline gates; 6) apron for the third airside; 7) loop roadway major renovations and 8) automated guideway transit system scope documents. The design Phase II continued the innovative concepts of Phase I, and expands upon them with fresh themes. 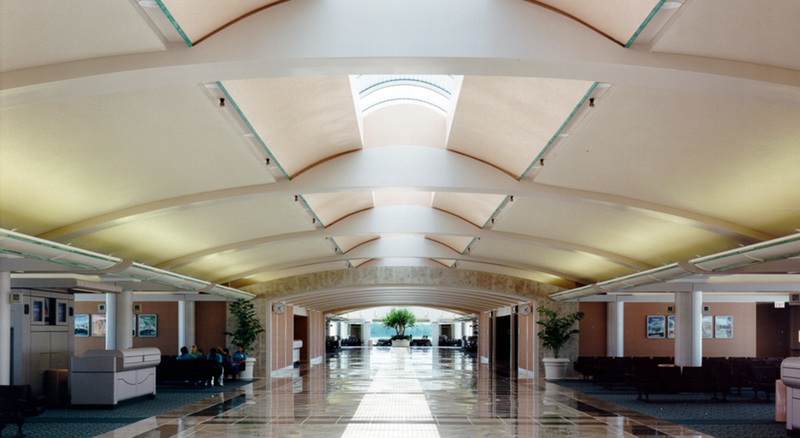 The Great Hall of the Phase I Landside Terminal echoed with an even larger, higher atrium in Phase II. The new Great Hall is enclosed on the upper floors by hotel guest rooms, whose balconies overlook the terminal activities. The new Airside Terminal, occupied by Delta Airlines, can handle 6 million passengers a year with 24 gates and 16 commuter gates. 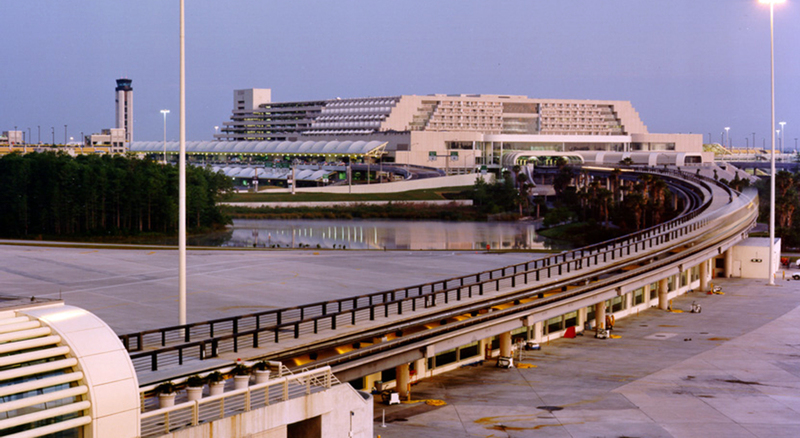 Its abundance of glass provides the passenger with a continuous visual contact with the environment and the total “Orlando experience”.